When you think of the name Kawai, you might be inclined to think of them as a world-renowned manufacturer of acoustic pianos—uprights, grands, the whole shebang. What you might not know, however, is there also exists a full line of Kawai digital pianos. And in this review, we’re going to break down the beautiful Kawai KDP90. 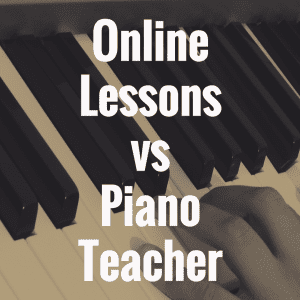 In the on-going acoustic piano vs. digital piano debate, one of the prevailing issues for me has always been simply this: can a digital piano sound and feel like the real thing? After experiencing several evolutions of the digital piano over the years, I can say confidently as of this writing that, while there’s nothing like the experience of playing on a finely crafted concert grand piano, the answer for me is a resounding yes, it IS possible for a digital piano to come dangerously close to replicating the real thing, especially when you plug it into a killer sound system and crank it up to 11. In the table below, we’ve compared the Kawai KDP90 to some of the best pianos in its class. 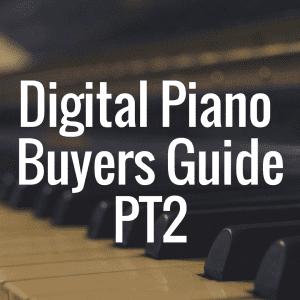 Based on metrics like weight, price, and customer rating, we’ve compiled what we think are some of the best pianos that can legitimately compare (and compete) with the KDP90. 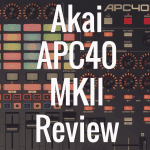 Note: We have recently released our Kawai KDP-110 review. 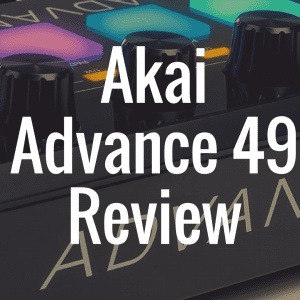 The Kawai KDP90 makes a fine entry into this latter category. Even using it’s own built-in speakers, the sound is quite amazing. And not just the piano sounds either—the other instruments here are true to their original counterparts. If you closed your eyes and just listened, you’d be surprised at how close Kawai got in emulating all these different instruments. Most people probably wouldn’t be able to tell the difference, so it’s great that Kawai really decided to go all the way here. So let’s dive into the nuts and bolts of what this moderately priced thing of beauty can provide for you. One thing that the KDP90 doesn’t include is a bench, so I guess you’ll have to play standing up. Seriously, though, there are plenty of excellent benches out there at reasonable prices. So this is, by no means at all, a deal breaker. Kawai calls their method of acoustic piano sampling Harmonic Imaging. Using their own 9-foot EX Concert Piano, Kawai’s sound specialists recorded myriad aspects of this flagship instrument using state-of-the-art technology. Then, their engineers created what they call stereo “maps” of the EX’s entire dynamic range and, through a process they created dubbed “Harmonic Imaging,” translated those “maps” of “harmonic data” in such a way as to produce an electronic instrument capable of delivering seamless tone quality as the player progresses from pianissimo all the way to fortissimo. In short, this is a digital piano, yes, but the sound it emits sounds like an incredible nine-foot concert grand piano. If you’re familiar with an acoustic piano, then you already know that different regions of the keyboard are constructed in different fashions. For example, some of the bass notes use only one string, then as you go up the keyboard a second string is added and then most of the middle and upper range uses three strings. The felt hammers, too, have variations in shape and density. In the past, some manufacturers of electronic instruments would sample only a certain number of keys and then sort of “extrapolate” the data for the remaining notes to come up with what they might supposedly sound like. But what Kawai has done is studied recording techniques of acclaimed studios in Los Angeles and Japan and have painstakingly sampled each and every key of their EX concert grand piano individually. This makes for as close an accurate representation as you can get to the real thing. With their Advanced Hammer Action IV technology, Kawai has also endeavored to make their digital pianos feel like their acoustic cousins as much as possible. As with many manufacturers’ graded hammer action systems, the bass note keys are weighted heaviest, and as you go higher on the keyboard the hammers gradually become lighter, just as on a real piano…hence the term “graded” action. With their 88-key-sampling techniques, the sound folks at Kawai were able to recreate different piano sounds than just your traditional classical timbre. The KDP90 offers your choice of 2 different Concert Grand sounds and a Studio Grand, plus a Pop Piano sound for all you rockers out there. In addition, you get a couple of electric pianos and organs, harpsichord, vibraphone, some strings, a choir, and a couple of synth pads. Like some popular stage pianos, the KDP90 has the capability of playing two different sounds at the same time, such as piano and strings, for example. Also, like some of their competitors, this instrument has what they call 4-Hands Mode (which you can also find listed in the KDP90 manual), which splits the keyboard into 2 identical 44-note sections, creating an ideal scene for teaching private lessons without someone having to move over or switch places. 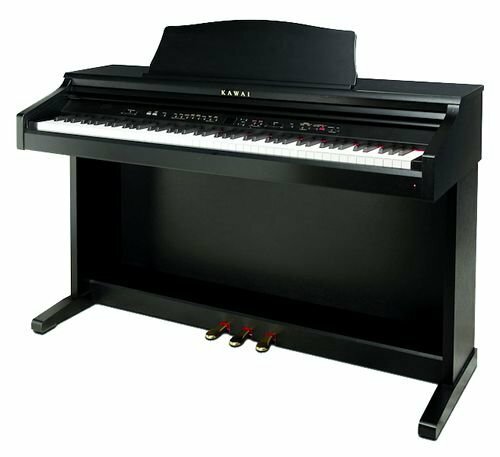 As with all digital pianos of this caliber, the KDP90 comes equipped with three pedals (your typical soft, or ‘una corda’ one string pedal on the left, the sostenuto in the middle, and the sustain pedal on the right). The sustain pedal (also called damper pedal) is designed so you can half-pedal, just as you would on an acoustic grand. The pedals on the KDP90 are designed to replicate the weight of the pedals on their EX Concert Grand. Another cool feature is something called “damper resonance,” which is an adjustable control of the echo you would get off the strings of an acoustic grand—virtually speaking, of course. You can set the amount of this resonance to suit your tastes, which is very unique for a digital piano in this price range. Raise your hand if you’ve ever played any piece of music published by Alfred? Whether it be the Bach inventions or some sort of music theory curriculum, chances are we’ve all had some experience with their sheet music. Kawai has recognized that Alfred is one of the leading publishers of educational music, and has partnered with them to include lessons from their Basic Piano Course Books 1A and 1B—perfect for your little Mozart! One of the coolest features of this piano that I have not seen on other comparable models is what Kawai calls “Concert Magic.” Basically, what this allows you to do is load up one of the Concert Magic songs and, no matter what key you press, the KDP90 will play the correct notes for you! This reminds me of the “one touch chords” you used to find on electronic keyboards way back when. You have your choice of different styles, from classical to Christmas, children’s’ to patriotic, and so on. Now, you can impress your friends at parties and be a one-man (or woman) band. The Kawai CE220 is actually a step up from the KDP90 in three categories: sound technology, key action, and price. To me, that essentially means they used more of the data they captured during the sampling process in this piano than in the KDP90. 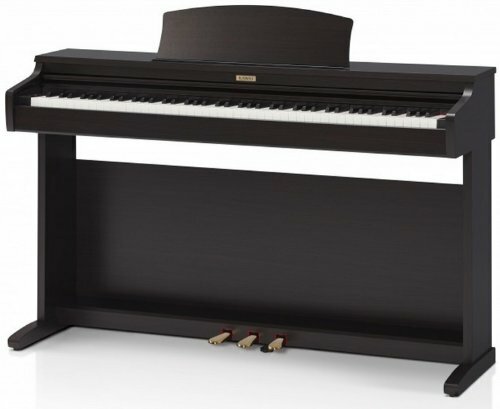 This piano also incorporates a different type of hammer action called Responsive Hammer action, in which they’ve added a simulation of that sort of “notch” feeling you get when you play softly on an acoustic grand. Plus the keytops on the CE220 are made to feel like ivory. That said, you’ll also pay several hundred dollars more for the CE220 than the KDP90, so you’ll have to decide for yourself what’s more important. 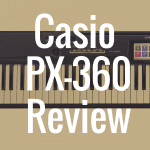 The Casio PX850 is another instrument comparable to the KDP90. 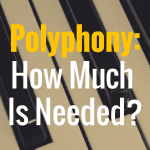 It has 256-note polyphony, and 18 built-in tones. The keys are made to feel like real ebony and ivory, and it comes in black, white, or brown finishes. Like the KDP90, you can split the keyboard into two identical zones for teaching purposes. But unlike the KDP90, this Casio model offers USB connectivity directly to your computer, and, with Apple’s Camera Connection Kit for iPad, you can actually link those two devices. The Yamaha Arius YDP142 might be the KDP90’s biggest competitor. After all, the Yamaha and Kawai companies themselves are based in the same city in Japan! Yamaha’s answer to Harmonic Imaging is what they call PureCF sampling. In Yamaha’s case, they have sampled their world-renowned CFIIIS 9 foot concert grand piano. They, too, have developed their own version of graded hammer action. The YDP142 does not, however, feature teaching tools like the Alfred Lessons or the 4-Hands mode, nor does it offer as many built-in sounds (10) as the KDP90 (15). The YDP142 does have their own version of the pedal damper resonance feature found on the KDP90, however. The KDP90 is a wonderful piano. I think the best thing I can say about it is that this piano has enough features to work for a beginner, thanks to options like Alfred Lessons, but is robust and refined enough to satisfy a pianist with more advanced skills. 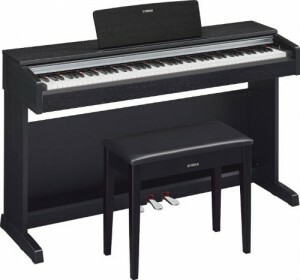 The Kawai KDP90 is available online for less than $1,200. 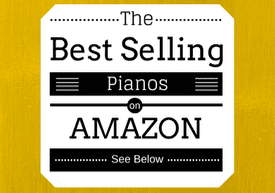 Please be sure to return to Digital Piano Review Guide for more information and reviews! What Are the Best Digital Pianos Under $2,000? Beginners Guide to Synthesizer Keyboards: What’s The Best?